Photo courtesy of Tom Nissley: Madison Books will have a pop-up in December, then close again in January to finish renovations. 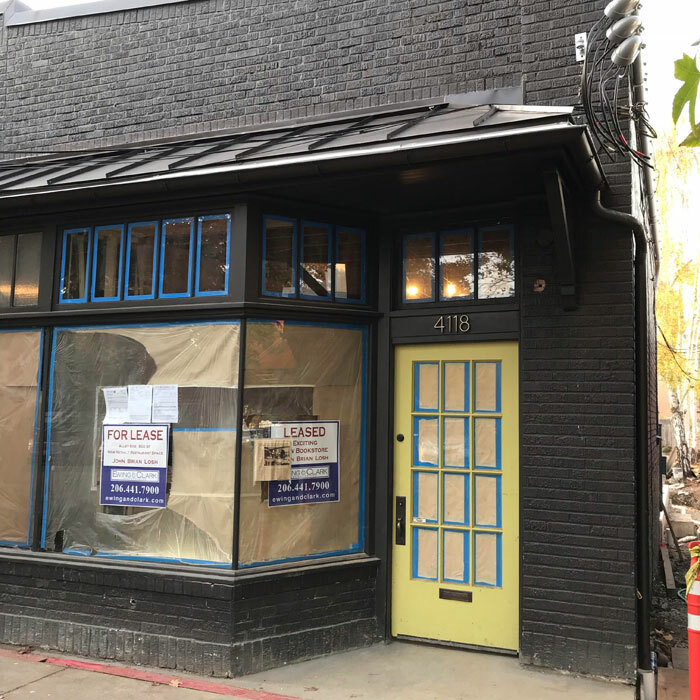 Tom Nissley is now targeting a February grand opening for his Madison Books store, but doesn’t want to miss out on the holidays. While it will be bare bones, Nissley plans to open a pop-up shop at 4118 E. Madison St. from Dec. 10-24. Madison Books will then close again in January to complete renovation work. Nissley has operated Phinney Books in Phinney Ridge since 2014, purchasing the former Santoro’s Book space with his Jeopardy winnings; he’s an eight-time champion. Heteamed up with Madison Park resident Susan Moseley to bring a bookstore back into the neighborhood. He originally hoped to be open by November, but still looks to be the first tenant to begin operating in Constance Court on East Madison. The Losh family has been renovating the property for more than a year now, having purchased the property from Constance Gillespie; her family had owned the property since 1937.